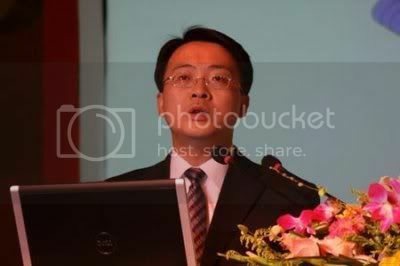 China Internet Conference (CIC) has been held for 5 years since 2001. According to its official website, China Internet Conference attracts over 3,000 representatives and 50,000 exhibition audiences across more than 10 countries. “Harmonious Network, Quality Service” is the theme of China Internet Conference 2007, which starts today for three days in Beijing. This year’s CIC has two parts: one is called “i-world” which talks about different segments of the Internet world. The other part is “Adworld” which focuses on online advertising. Sorry, I’m pretty busy this week so that I can’t cover all topics as there are too many speakers and this is very brief summary below; but, I would talk about some details later if you are interested in some topic. 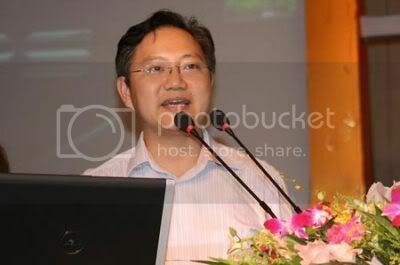 Huang Tao (China Mobile): There are 162 million Internet users in China by the end of June 2007, with a 31.7% increase compared to the previous year. 122 million Internet users connect to the Internet via broadband; 55 million via WAP access. China Mobile’s 2006 yearly report showed there were already over 270 million mobile wireless data users. There are 318 days left before Olympic starts. The Olympic Games would reach over 4 billion audiences worldwide. And, over 4.6 million people would come to China with about 20,000 journalists and over 300 media. The Olympics would bring 7.5 billion US dollars’ economic profit to Beijing. About 94% of people believe Olympics could unite the nation tighter. 68% of people between 18 and 24 would like to watch the Olympics. For those between age 55 and 65, the percentage is 36%. China Mobile provides 29 products and services for the Olympics. For the Olympic committee, there are community SMS, wireless video synchronization, and cell phone walkie-talkie. Community SMS are information SMS messages which are sent to the public in a designated area. Wireless Video Synchronization technology would be mainly used for sea-based sports to have the contest results delivered much faster. There are about 100,000 volunteers who would use their mobile phones as a walkie-talkie. For the public, China Mobile is the first to provide official mobile portal access for Olympics related information. For the media, China Mobile has a system called WirelessInfo Platform, with which journalists can edit and report wirelessly their articles on site. They can also access to Olympic Info2008 which is a huge database related to the Olympics. What’s more, journalists could simply shoot and transfer photos via digital cameras or WLAN. 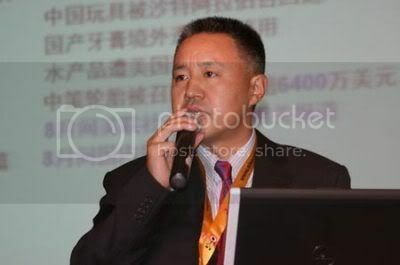 Wang Wenbin (Vice CEO of CCTV Internet): Currently, CCTV.com broadcasts in a total of 500 hours of high-quality video contents online. Beijing 2008 Olympics would be broadcast through 6 channels of CCTV. CCTV.com would integrate TV and Internet to interactively report this event (blog, forum, on-demand video, online guide, exclusive report, photos, interviews, and etc.). He stressed a lot about foreign concerns on made-in-China product quality, which is a good thing. But, recognizing the problem is just the first critical step to success. We’ll see whether ninetowns can make tootoo.com successful. 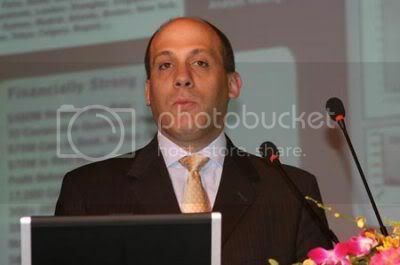 Andrew M. Kanter (COO of Autonomy): Autonomy has been in China for 5 years. Its clients include China Mobile, Shanghai stock exchange. The core technology of OpenV (still in beta status; pageview over 5 million per day. It’s in partnership with many influencing media such as CCTV) is supported by Autonomy. The rest of his speech mainly presents what its video search technology could bring by demoing OpenV. 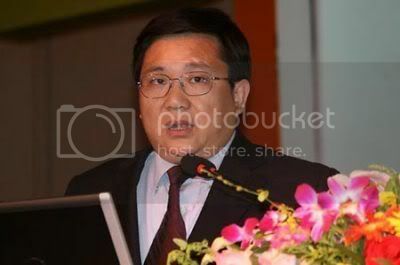 Luo Chuan (CEO of MySpace China): MySpace has created several miracles. Its annual rate of increment is 397%. Many Internet companies face difficulties after entering Chinese market. How could MySpace make itself different from the other foreign companies? First of all, we set a separate entity in China to build service which adapt to China’s Internet culture. We set up our own database center and operating system in China. Secondly, we keep myspace China communicate with MySpace worldwide network. He also briefly introduced MySpace history to the audience as it’s very new to many Chinese. It launched its myspace.cn beta site this April and officially launched last Thursday. It updated its database and contents to suit Chinese users. If you have a MySpace username, you could access MySpace.cn before the update. But now, you can’t.